- Industrial quality impact driver with switchable forward and reverse screwdriver rotation. 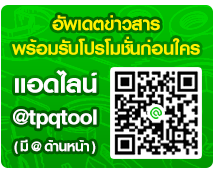 - mechanism into a powerful high torque screwdriver rotation action. - Ideal for ensuring fasteners are securely tightened and for freeing stuck fasteners. - Hex drive nose pieces can be removed to allow use with 1/2” square drive impact sockets. 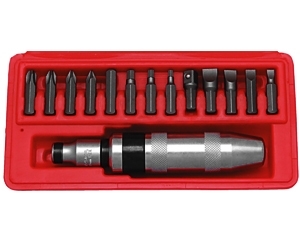 - 14-Piece Set To suit 5/16” hex, 3/8” and 1/2” square drives. - Complete with: Crosspoint: No.1, 2, 3 and 4. Flat Bits: 6, 8, 10 and 12mm. KEN-573-7100K • 14 Piece Set: (Illustrated). • To suit 5/16" hex, 3/8" and 1/2" square drives. • Complete with Crosspoint: No.1, 2, 3 and 4. • Flat Bits: 6, 8, 10 and 12mm. • Hex Bits: 4,5, 6 and 8mm.